It never rains but it pours, as they say. I had a 12th October deadline for our final assignment which was a case report and the critical reflection on the Home page. Since then, I am running to catch up to the last couple of modules as I am back at work, also facilitating/leading an IB online workshop for the next 4 weeks and have had some major annual health checks – all happening in the last week as the assignment. So now to juggle my own studies with other’s studies. And then I have a son (19 years) visiting for the next 6 days. Considering he has been a global traveller since last November, working in Canada, travelling Europe, and now on his way back to Canada (his twin is already there, started work), I plan to make the most of his short visit. “Spaces are themselves agents for change. Changed spaces will change practice” (JISC, 2006, 30). It has been exciting to see how small changes can have profound impact. We are now at the stage of, while still needing to bring in more furnishings etc, to watch and see how our student users now use the spaces and to seek feedback. Conversations continue to build as well. I am reminded of “Yes, and…” comment by Doorley & Witthoft’s (2012, 156) to listen and accept what others are saying and use their ideas as springboards to build new ones. I have spoken about ongoing conversation with the 2016 Tech Integration teacher and our plans to work collaboratively and use library and technology as support pillars for each other. This includes finding a place for her to create a space, rather than huddling at a desk, within the music department. There is a small room which has been many things over the years in the library. For the first half of this year, it has been locked with a TV sign on the door, and used sporadically for the technician to take student ID photos. I have begun first by keeping the door unlocked, or rather, encouraging the library assistants not to lock the room; and then encouraging teachers to use the space for their ‘cave’ when they need a quiet space away from it all. All of the above will still happen, but the purpose of the room will expand to include using it as a ‘huddle room’ for the tech teacher to use as a convenient drop in space for team collaboration and where teachers can engage more with IT (Doorley & Witthoft, 2012, 154). The library space is changing. My colleague (middle school librarian) and I are focused on creating more nooks and corners. As Doorley and Witthoft state, ‘corners provide a sense of place and have a profound effect on the sense of ownership in an open space (2012, 142). Yesterday the biography shelves were moved across. 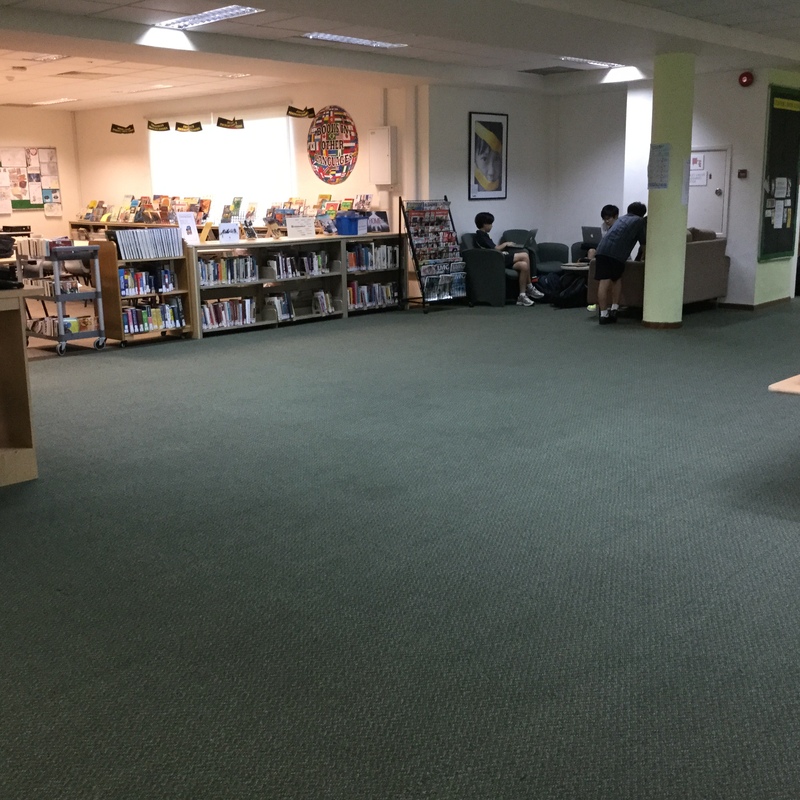 This follows on from my earlier observations (blog task #1/2) where I commented about the large open space on our library floor that is not being utilized; as well as observed the use of our students re-purposing the library spaces for their own needs. So now, we have a more zones, and more discrete nooks and corners for reading and interactive work. This has also followed on from student suggestions. Interestingly, most of the suggestions has to do with aesthetics, which is certainly part of design. However, their ideas also has to do with study management, comfortable furnishings, and access to silence. The biography shelf idea was adopted by moving the biography shelf across and moving the small magazine to provide a private reading nook (see picture below). I have been reading about sound management and the need for spaces to provide acoustic privacy (JISC, 2006, 8; Treasure, 2015). 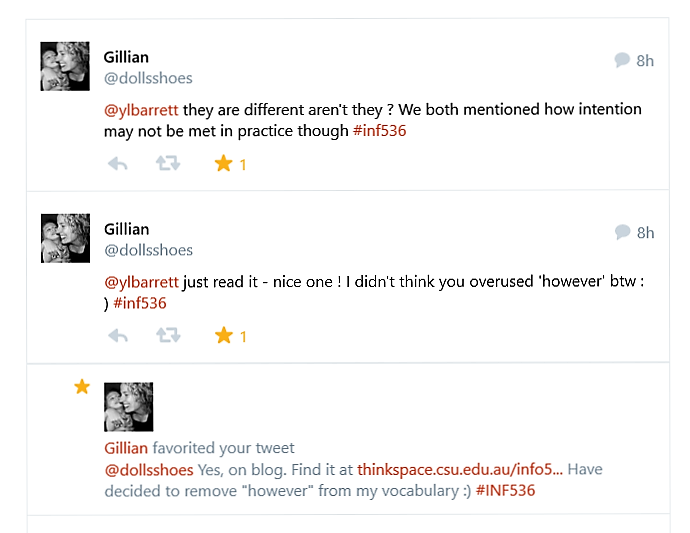 I liked a reference by another librarian, Chelsea Wright (2015), who was blogged about silence and noise. She wrote “Silence is a resource. Silence must be available to those who need it, but the days of blanket silence in the library, as a rule, are long gone.” I totally agree. 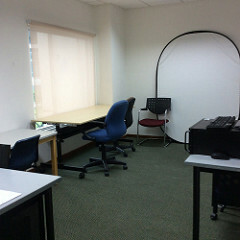 We have also decided to trial for the upper floor to be the ‘quiet’ cave space of the library. Cushions, lounges and nooks and corners are to entice those students who want to become lost in their books. The old computer lab is now for reflection and work. Four enquiry terminals that are constantly used by the upper elementary students have been moved up to the quiet zone. 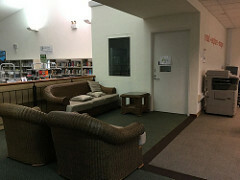 This has freed up more space for collaborative spaces on the lower level library floor. We still have a long way to go, but there is movement and change happening! Small teams make good decisions! (Doorley and Witthoft, 2012, 163). Using early mornings to reflect on the modules. There is a lot to consider, and I am trying to put my thoughts into some order for a front page reflection. What is most striking throughout this course is how pedagogical use of a space is predetermined by its design. Flexible and agile spaces seem to be the catch phrase in my readings. Yet they resonate. There is a need to have furnishings and spaces that are mobile and which can be quickly and easily formed and reformed by the users depending on need and purpose. Designing spaces for learning after all, needs to accommodate for both current and evolving pedagogies and to be ‘future-proofed’ – so that space can be re-allocated and reconfigured (JISC, 2006, 7). It is timely too, that Blyth (2012, 264) reminds us that design is really as much about problem seeking and solving in its broadest sense, and not purely about aesthetics. As part of my considerations as to how we can ‘future proof’ the Central Library, I have arranged for site visits of two international schools and their libraries next week to see how their spaces help inspire creativity and shape learning, and to discuss the processes they undertook in the design of their libraries. As Hunter (2006, 64) states “Seeing innovative learning spaces being used, especially in libraries, at first hand and meeting with staff and students to discuss their experiences is invaluable”. Am ‘on holidays’ visiting family in Australia, with access only to a stand alone desktop – I take WIFI as a matter of course, so am feeling out of my comfort zone. Have started #4 but definitely need catch up on module work! Listened in to the online discussion with Ewan yesterday afternoon. It was the end of the school day (just) and yet I managed to be distracted multiple times, by parent, teacher & library assistant queries…talk about multitasking. I knew I should have closed the door. Still a worthwhile talk about what needs to be considered for the upcoming assignment #4. I feel that all our previous work has added layers to now build upon for this Case Report. However, that doesn’t stop that feeling of nervousness, as I start poring back over everything in order to move forward. Alot of informal conversations continue to take place. 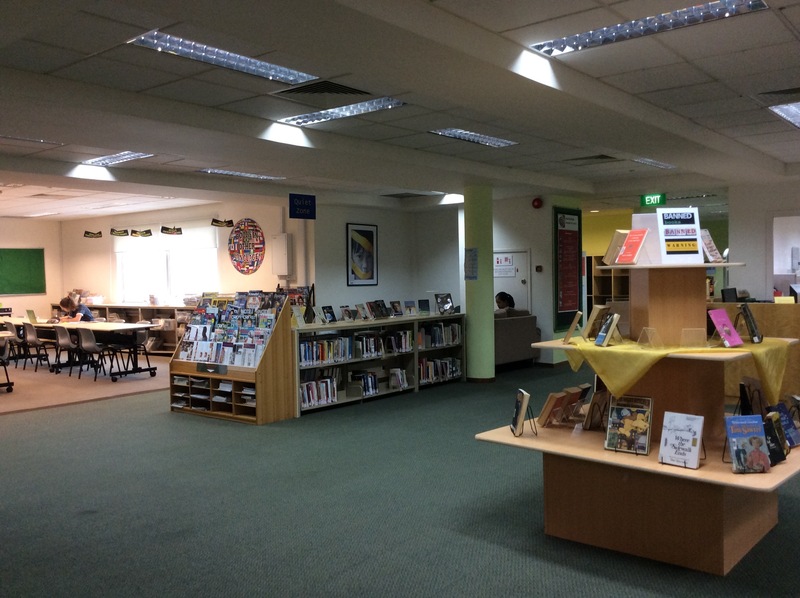 I have spoken to the Head Librarian about the processes involved with the design of the (relatively new) 2012 senior library. 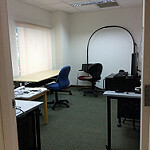 It was interesting that the space was originally tagged to be a Year 12 common room and exam center space. However, a visit by an international accreditation team soon sent the leadership back to the drawing board with the need for a specific library space for the upper secondary students. The library was designed to be mobile and agile to allow for the space to be re-purposed for other uses such as exams, professional development, presentations and meetings. Term 4 will see the library space ‘closed’ for exams. It will be interesting to see how this will impact on the Central Library space which provides for the upper primary and middle school students. With a new school building currently underway, there are already ‘murmurings’ for what this will be mean to the current libraries. So far, there has been no gathering of the librarians with the leadership team to discuss the implications and detail any of the design processes. This is definitely a conversation waiting to happen. A conversation I had with next year’s tech integration teacher today reminded me of the seven spaces and the primordial spaces of Module 6. We are both hoping to work closely and collaboratively in 2016 -to bring the library and digital literacies in alignment. It is exciting to have these conversations. 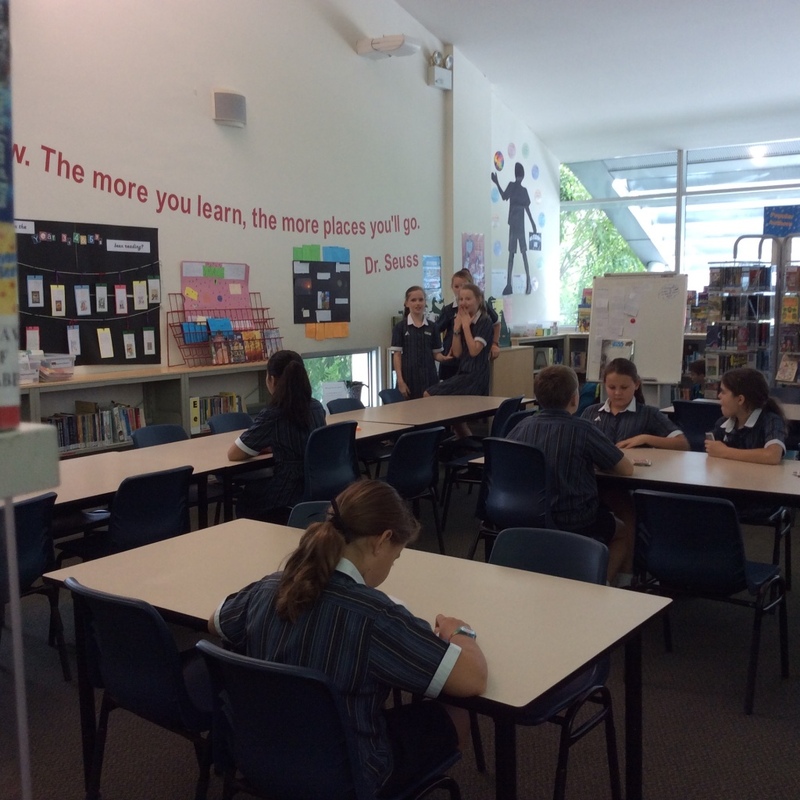 The teacher has experience with innovative learning hubs at her previous school, and we were discussing how this course, Designing Spaces for Learning, is having an impact on how I have been looking at the design of our current library space. One idea that has been mooted is looking at the top part of our library space as a progression of spaces between a Knowledge Space (Quiet zone, comfy chairs, tables and chairs) at one end of the space moving toward a Creative Collaborative space at the other end of the floor space; and including a change of colour on the poles to indicate the progression between different types of learning spaces. It is something I think I will include in my upcoming assignment. … my assignment was uploaded by the evening of the due date 7 September! By the end of it, each time I reread over my document, I discovered mistakes or small things that needed changing, or I noticed I used the word ‘however’ maybe too many times, or my conclusion could have been better (just realized I used the personal ‘us’ within it). I have reached the point, where I have to stop looking. I have uploaded it onto my front page here on my blog and shared with my colleagues. It is interesting that we all used very similar research articles yet very different reflections. Twitter has been an excellent tool to keep in touch with colleagues, to share insights and questions. I perhaps do not use it enough. and already…my thoughts are turning to assignment #4! I think I like the whiteboard better than the cork board. I am wondering whether I also experiment with the hexagonal concept mapping – early days yet (sort of). P.S. and somewhere just between last post and now, I also celebrated my birthday too! Submerged in assignment #3. I was lucky enough to have a study leave day on Friday to jump into the assignment. My colleague messaged me how was I going. My reply: Awake @ 5.30 am! hyperventilating @ 7 am. Staring at my Intro and thinking NOW WHAT! 9.30 am making slow inroads. Thankfully the rest of the weekend has been a slow progression forward. I am going to have to cut, cut, and cut. Still alot more to do, but I don’t feel as ‘lost’. I have promised myself an early night from studying. Most of tonight’s work has focused on Module 4.3 and catching up with the course readings. (I do not know how I jumped between Modules 4 and 5!). Regardless, made a connection from my workplace environment today to my readings tonight. This remark by Tom Barrett in this module connected: In response to a learning wall learning space (Rene Nakhoul) in action. 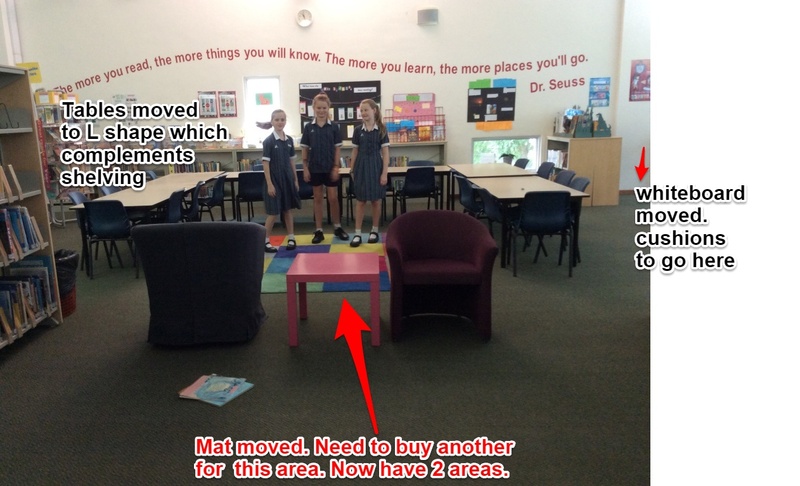 Keep thinking and talking to your children about the space you have and how it would be (EVI) Even Better If … I had only today connected with some of my year 5 students who I found claiming a ‘nook’ in the library. I explained that I had only recently moved the spinner book stand to allow for more ‘space’ and was planning on adding cushions. I invited the three girls to reflect on (EVI) and before the end of the lunchtime recreational bell, the four of us had changed the table formation several times, moved a mat, and mobile whiteboard. 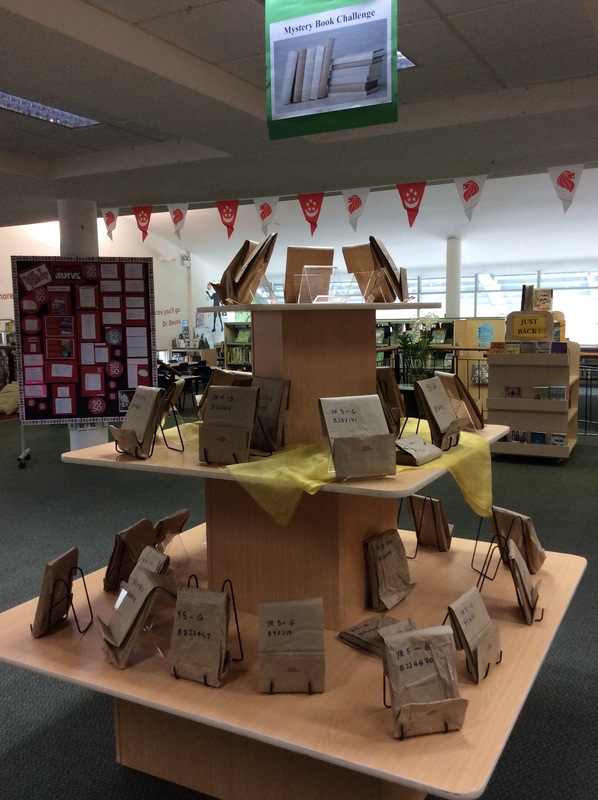 The girls have set it up for other students to write quotes from books! Needless to say I took photos to document our ‘design thinking’. I have spent the weekend madly reading. I have connected with resources on my theme of school libraries that I will use in my assignment. I did have a break from study – to go and buy a whiteboard/cork board (and stock up on my post it notes). I must admit, the visual impact of the board and my notes are consolidating ideas and understandings. Next will be writing that opening line! A great online talk chat with our course facilitator, Ewan McIntosh and fellow colleagues to discuss the upcoming assignment this morning. It clarified a couple of questions I had. I have been reading some interesting articles about design thinking as part of the process of learning. However, getting off track, and need to refocus on space design, and the design process as it relates to learning. Now, where are those post it notes! So tonight, I am continuing with my course readings. I listened to Frank Gehry . I enjoyed his knowledge and insights, and especially his humor and connected on many levels to his story. I have recently returned from a visit to NYC. It was a trip connecting with our sons who had been travelling for the first time ‘sans parents’ and ‘solo’. NYC was the last city where we were to part ways again, and one of the explorations into the city was to visit the Ground Zero site, near where we were staying. Frank Gehry states how he is “uncomfortable against building anything on Ground Zero for a long time”, and I think he is right. It is a place of reflection. The 9/11 memorial waterfalls make us pause and think…I think it makes alot of people do that. The design of the memorial is itself, unique. I think there are certain places and spaces around the globe where we need to be able to remember. Gehry’s comment that ‘language is a beginning’ and his reference to Alvaro Siza, Portuguese architect also resonated. We lived in Portugal for several years. The traditional architecture is amazing, wherever you travel. The historical ‘language’ of the villages draws you in – they are spaces built for community. I would have liked to have seen Siza’s work which has evolved from the modern language of Portugal. his story about Frank Lloyd Wright and ‘move your chair’ and the ‘and then what story’ – what is brought to the story after the building is finished. It is those buildings that cannot be recaptured anywhere else. They fill a ‘space’ and ‘story’. 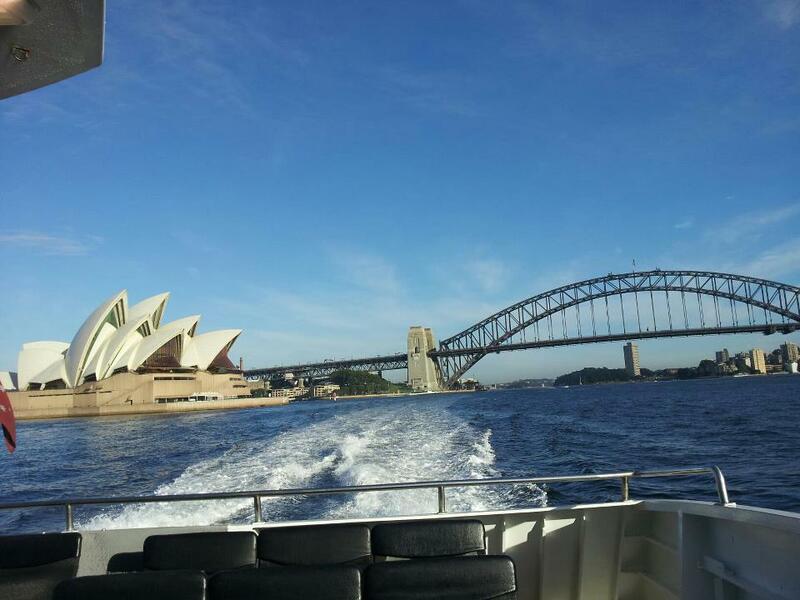 For example, I cannot imagine the Sydney Opera House with its sails unfurled, anywhere else in the world. Assignment looming and butterflies beginning. Trying to keep up with the reading and choose the six articles to base my critical literature review on. Made sure I took my butterfly journal in to school today (after long weekend). By the end of the day, had added my first reflection, and discussed with my colleague about the four enquiry terminals (middle school) on our top level that are not being used…leave 1 and have chairs instead…noted! I have been reading Ewan McIntosh’s book (2014) on How to come up with great ideas. I am only into the chapters on immersion, and yet I am making connections. Ewan comments about keeping simple routines of keeping a ‘bug list’ and ‘ideas wallet’. I always carry a booklet around with me for personal day to day lists, especially with living a gypsy lifestyle of moving between countries – it keeps me oriented to new address’s, account details, places to shop, list of jobs to do etc. As like Tom Barrett, I have kept these books and find as he does, that they ‘give me a great sense of context in which it was recorded…a clearer sense of the story of those particular moments in time’ (McIntosh, 2014, 49). 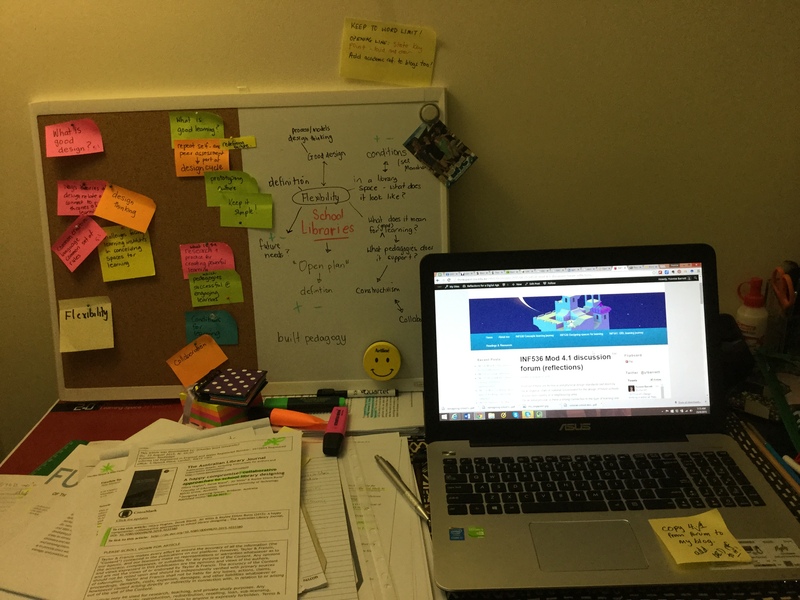 With this subject I have really enjoyed using my learning journal on Storify to bring together my notes and thoughts about different readings – to keep it in one space. I do need to go back over my Evernote as well. It has been left languishing for awhile, and yet it is a great tool too, and I use it for group chats too. However, I like the idea of Ewan’s ideas wallet, and Tom Barrett’s ‘learning nest’. I have found a brand new book to start carrying around with my personal log, to notice things that don’t work so well, and capture inspiration on the spur of the moment (McIntosh, 2014, 48). Links to colleagues blog posts where I have added commentary. In no particular order. It is a great activity to be involved with to follow the ups and downs of each other’s learning, and to be able to add our support and commentary to their blog posts. This is what is so great about blogging for our students – to have a real time communication and collaboration happening. By having to comment, means the reader also needs to reflect. I am very thankful that we have a long weekend coming up to celebrate Singapore’s 50th independence/birthday celebrations. It will allow me to do some catch up work, including my blog assessment task #2 (tomorrow’s job!). Stay tuned! Nadine Bailey and I connected up this afternoon after work. Nadine is starting a new position at another international school here in Singapore. Our conversation covered myriad elements of library administration, signage, teaching and inevitably change and . space. As Nadine commented, it is a functional space. However, both our eyes gleamed at possibilities of utilising the space for different learning spaces. A month ago, we would have both been moving the furniture around (especially since her shelving has the flexibility of mobility – on wheels – I am envious). However, we both stepped back, and instead discussed about observing the use of the space once the students have returned; how teachers use the space (already it is being used for staff meetings) and incorporating in the early ‘get to know me/know you’ sessions the idea of canvassing students for their ideas of the ‘library space’. Which brings me to the conversation I had with Nadine about how I put the ‘idea in writing’ about redesigning my library space. My colleague also promoted this activity with her middle school classes – BUT – it wasn’t until I sat down and had conversations this week with small groups of students who seek the library before school, and during the day, that ideas and ‘post it notes’ started flowing. Just brings it back to me, how important conversations are! Finding some great resources on design thinking and ideation techniques which are expanding my understanding of Module 2, and which I am adding to my Storify learning journey. Must admit to feeling a bit overwhelmed at the moment …a lot of information processing happening, and I am hoping it is sinking in. I have created a storify: Reflections on design – a learning journey as part of my learning journey. To bring together information, ideas, and questions, which I will use in conjunction with this blog space. I still haven’t used my art book – that is another brave new world for someone whose learning style has been more toward the written word than the visual. We have had visitors this week which added a bit of pressure to the time element of my studies and my first blog assessment task. I enjoyed the practicality of the task at looking at my own environment with the view of what is not serving the purpose it could do. By looking at a physical space allowed connections to be made between that and my course readings to date. As a result, in the past week, I have started observing our client base in the library more consciously. Where they are sitting, what are they doing? This will definitely be an ongoing activity, but I do need to ensure that I jot my observations down as I go. Of course design is not only limited to physical spaces and I imagine I am going to be a lot more conscious of other ‘spaces’ too. I am also reading other blog posts of my colleagues this morning. I am always especially interested in those who also are involved with libraries. I wonder how their own design process will ‘play out’. Their own reflections brings up even more questions to for myself e.g. how to involve teachers in the discussion about changing the library space to improve student learning? If we build it will they come? Thinking that our current table space which I am looking at is really being under utilized and how can we encourage greater use? I took a break from study this Sunday morning, and with my fellow librarian colleagues/ friends did an early morning bicycle ride around the connector river way pathways not far from where we live. With my course readings simmering, it really brought home how Singapore is a study in design. The parkway connectors are designed to entice the user into the natural environment. Shelters, seats, gardens, waterways, fitness equipment, along a shared pathway. Rereading Buchanan’s (1992) Wicked Problems in Design Thinking, afterwards brought home just how design is so integral to well….everything. Wherever you look, is design thinking in action: signs, things, actions, thoughts. All interconnected. My next subject which I am just about to jump into….. It was great having you around! I had my jeans and t-shirt on today in anticipation of doing some “dirty work” but I think some reflection and waiting and watching is what is required first! I do think that I will start with taking down all the “do not” signs and put up something inspiritional about mutual respect instead! There is nothing like conversations, musings with fellow cohort to get the ideas flowing. It was definitely an ‘ahaha’ moment when we both realised the impact this course has already had on our thinking.